I am 30 years old, sitting in my one-windowed office and listening to a new Pearl Jam album (Backspacer) that I stumbled upon last night. I have a condo, a puppy, a Mazda. They come with a mortgage, a schedule, and a car payment. I manage a team of people and a fairly large-sized business. I travel a lot, always with my iPod, always loaded with every piece of music I have ever owned, available via a simple button press at any given moment. I cannot imagine a better music technology ever existing. 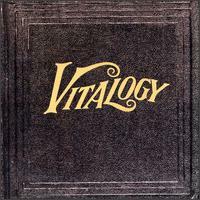 I am 17 years old, driving my Mother’s minivan to the used CD store with my next-door neighbor to pick up a copy of Vitalogy so that I would now own all of Pearl Jam’s albums on this awesome new media format. I have a Sony Discman that I can play in the car through a very fancy tape-deck adaptor. When I drive over a bump or a pothole, the song skips and takes a second to find its way again, but I am utterly convinced of the merits and staying power of this new device. I am 19 years old, in college now, sitting at the dining room table of my fraternity with a tape deck hooked up to the same Discman, making what I have titled the “Ultimate Pearl Jam Mix.” I am disappointed to have to be using a tape for this endeavor, but everybody knows that you can’t just record a CD with whatever you want on it. My mix tape leans more towards their newer stuff, Merkin Ball, No Code, and I think that this is really clever and deep. Everyone knows Ten, but Merkin Ball is small and unknown and special. All of which is a long way of saying that though I know they say that scent is the strongest memory trigger, I do think that music has it beat on most days. And while I love the discovery of an unheard band or song or album, something new by one of these bands, one of these musical touchstones in my life, a band whose career I can literally chart through the calendar of my youth and into adulthood, it just means more. And you start to understand why people are still buying new Rolling Stones albums forty years after they released their first single. These bands, they bring you back. 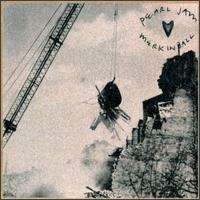 I am 30 years old, sitting in my office, writing a blog about Pearl Jam.